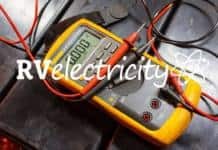 Home RV Electricity Beware of Electric Shock Drowning – Critical information! Beware of Electric Shock Drowning – Critical information! You’ve most likely read my articles and watched my videos about RV hot-skin conditions. But for those of you who boat or swim around boat docks, there’s another dangerous shock condition that claims dozens of lives a year. It’s called Electric Shock Drowning (or ESD for short), and it occurs when a boat or dock is powered by an AC shore pedestal and there’s a failure in the boat’s or dock’s grounding system. So what exactly is ESD and why is it so deadly? So imagine you’re a swimmer a hundred feet from the dock and you start swimming in. As you approach the energized water you’ll begin to feel a little tingling in your limbs, which gets worse the closer you get to the dock. Then your arms start to feel heavy like you can’t lift them. That’s due to the electric current overwhelming your body’s nervous system. Finally when you get within a dozen feet or so of the dock your arms refuse to work anymore. Just like you can’t let go of an electrically charged ladder when standing on the ground, all of your body muscles will lock up and you can no longer swim. While you might never receive enough current to stop your heart, you can no longer swim and can drown if someone doesn’t come to your rescue. What makes this scenario extra dangerous is that anyone jumping in the water to save you will also become paralyzed due to the current gradient and can drown as well. And ESD is probably unreported since the death shows no sign of electrocution. The victim actually died from drowning which was due to the electric current paralyzing their limbs. 1. NEVER go in the water around any dock with AC power or a boat plugged into it, even if the pedestal has a marine-grade GFCI (ground fault circuit interrupter) outlet installed. While a GFCI should be able to protect you, they routinely fail and may not trip on a ground fault. Note the warning on the GFCI to “Test Monthly.” How many of you have tested your GFCIs in the last month? I’ll wager none of you. And that’s just not something you want to bet your life on. Being in the water around a boat or dock with 120-volts AC is always a bad idea. Would you sit in a bathtub full of water while holding a toaster plugged into a wall outlet? I didn’t think so…. 2. If you find yourself in the water swimming towards a boat or dock and you feel a tingling or heaviness in your arms, DO NOT keep swimming towards that boat or dock. Turn around and swim away from it, then find anyplace else to swim to. If you do see anyone on the dock yell at them to turn off the power, and not to jump in. One person who needs rescue is more than enough. 3. If you see someone struggling in the water anywhere near a boat dock or boat plugged into shore power, DO NOT jump in immediately. Call 911 first, then identify and turn off the circuit breakers feeding the dock. If you have a life preserver on a rope you can safely throw it to them, but pulling them closer to the energized dock will only increase the Gradient Voltage and paralyzing current flowing through them. You MUST get the power turned off before any rescue is attempted. As soon as the power is off it’s immediately safe to do a water rescue since there’s no build up of charge that must dissipate. But if in doubt, DO NOT jump in the water. In many of the Electric Shock Drowning incidents I’ve read about, there were multiple deaths caused by more and more rescuers jumping in the water trying to save each other. No matter how strong of a swimmer you are, you won’t be able overcome the electric current paralyzing your limbs. You MUST get the current turned off first. Read more about this danger. Mike Sokol is an electrical and professional sound expert with 40 years in the industry. His excellent book RV Electrical Safety is available at Amazon.com. 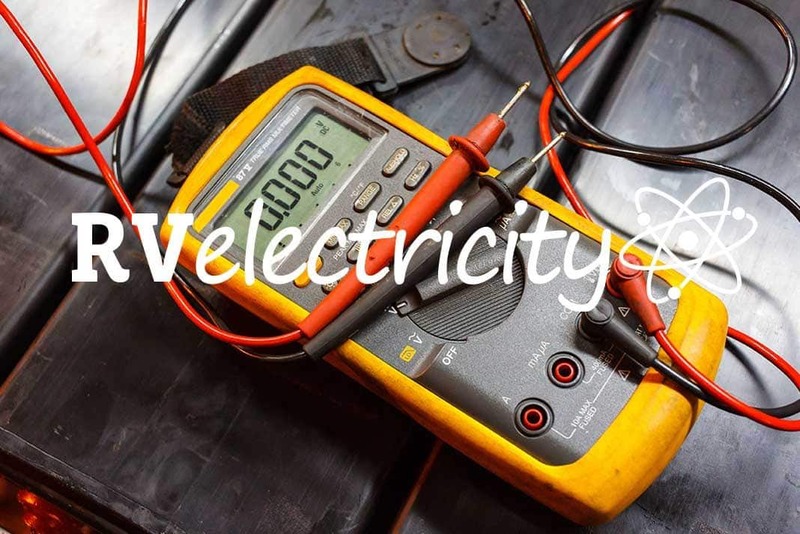 For more info on Mike’s qualifications as an electrical expert, click here. Thanks for explaining this in such a way that is understandable to everyone. This is very important information so I hope it is widely read. As someone who is an avid swimmer and past lifeguard I found it very helpful and I will change my thinking about what I would do if I found someone in trouble around a dock. Knowledge is power. Hi Mike, would a EMS have worked for these situations, like for our motor homes. Also would the 3 prong tester have helped with testing on this boat? I had to move to a different marina because the water was so hot electrically around my boat that it was eating the zincs in a very short time. The owners of the marina said it had to be my boat but it was still hot after I left and didn’t get fixed until other boats started leaving. Vote by leaving then they get the message this applies to lousy wiring in an RV park too.